Warren Gatland will testify that losing faith in Brian O’Driscoll has long been considered a particularly toxic type of blasphemy. As Australia breezed past their hosts in Dublin though, it was tempting to begin a eulogy for the immense international career of Ireland’s senior statesman. Opposite an energetic set of Wallaby backs invigorated by Quade Cooper, O’Driscoll seemed subdued and sluggish a fortnight ago. He was far too classy to admit as much in the build-up, but a victory might have exorcised a modicum of the pain caused by his omission from the third Lions Test. In truth, there was never any danger of that. A centre who had exhausted all superlatives since debuting in 1999 limped on, his involvement in the final autumn Test against New Zealand in the balance due to the niggling calf problem that is inconveniencing his season. 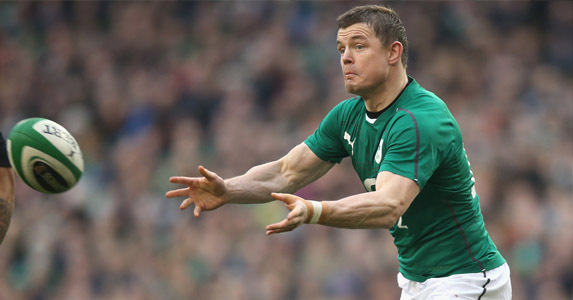 In fact, the fitness of O’Driscoll, Johnny Sexton and Rob Kearney dominated last week’s news. When the trio were all passed on Friday, it was a big boost for Schmidt. However, the camp had already been buoyed by some typically stubborn inspiration from their gnarled talisman. Even in adversity, O’Driscoll was never going to approach the All Blacks with anything other than unerring belief that a win was there for the taking. His words weren’t empty. On Sunday, Ireland injected a passionate, frenzied intensity into the first quarter that was impossible to live with. In possession or otherwise, they simply battered Steve Hansen’s charges. When Kearney snaffled a spilt ball and sprinted up the left-hand touchline to open up a 19-0 lead on 17 minutes, some at a raucous Aviva Stadium wise-cracked that last June’s 60-0 thrashing in Hamilton could be reciprocated. The big men were to the fore, naturally. Back-rowers Peter O’Mahony, Jamie Heaslip and Sean O’Brien smashed everything in sight and scrapped ferociously at the breakdown. Cian Healy’s barnstorming bust over Richie McCaw provided a precious memory. Skipper Paul O’Connell personified physicality. Conor Murray was so good Aaron Smith looked ordinary. 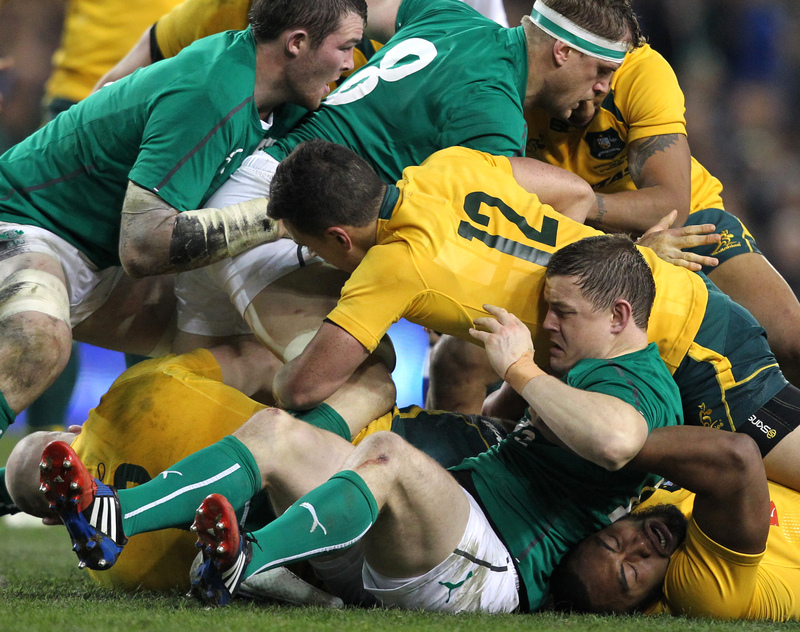 And there in the middle of the carnage was O’Driscoll, quietly taking his opportunity. After a wobbly pass in his own 22 following Murray’s opening try, he put in a fine display. 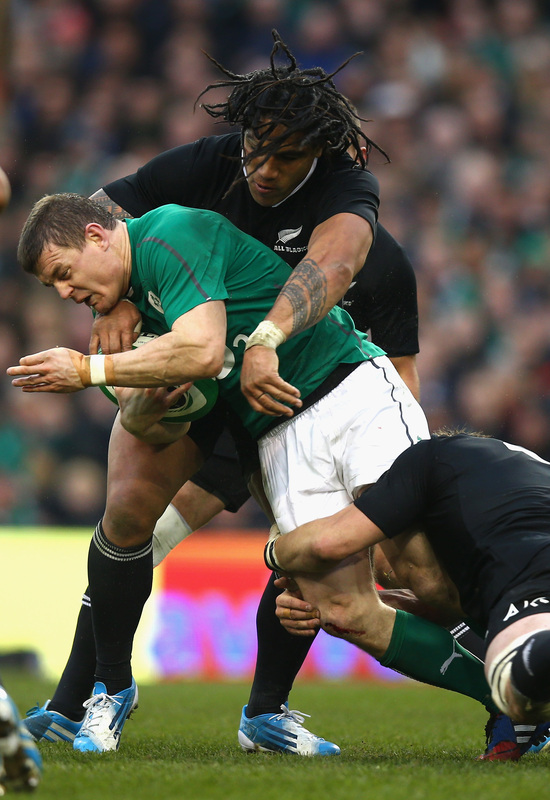 Alongside old buddy Gordon D’Arcy (who was brilliant as well), he shackled Ben Smith and Ma’a Nonu. Some manic counter-rucking won Ireland a crucial turnover. There was a majestic take from a high-ball and some sinew-straining carries too. In an allegory of his recent years in a green jersey, O Driscoll lay prone as Nigel Owens ended the first half – his body once more surrendered to the cause. The well-worn Lazarus act ensured he took to the field for the second half, but a tackle on Brodie Retallick – 20kg bulkier – brought O’Driscoll’s afternoon to a premature close, common sense prevailing when signs of concussion surfaced. Watching on through his fingers, the veteran saw New Zealand claw their way back from 22-10 down to spoil his 128th cap – a scintillating move finished by Ryan Crotty at the death to shatter Irish hearts. When the final whistle came after Aaron Cruden’s re-taken conversion, O’Driscoll walked back out onto the pitch. He could barely look anybody in the eye. This wasn’t the disappointment of a plucky underdog. It was far more painful and deep-seated – agonising shellshock of a man convinced his side had done enough. 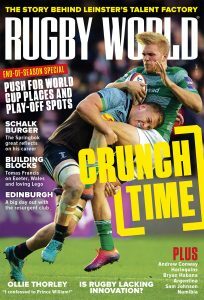 O’Driscoll’s words in mid-week resonated through Ireland’s manic, aggressive start. That mindset will form part of his legacy. Two seasons out from a World Cup, some argue that his 12-month extension is poorly timed on the basis that another combination would not have enough time to settle in. Well, Luke Fitzgerald – a Test match Lion and still only 26 – was extremely solid on Sunday and may yet fulfill his potential. Ulster’s own Kiwi Jared Payne, a magnificent footballer, qualifies on residency grounds next September. Keith Earls is still around and is well capable of partnering D’Arcy or Luke Marshall. In short, Ireland’s midfield garden is rosier than England’s. 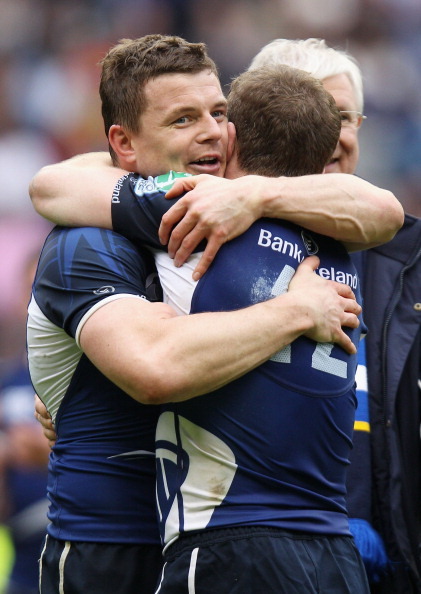 Mountains of silverware for Leinster, a glorious Grand Slam and immortal moments of Lions folklore mean O’Driscoll will not be remembered for moral, ultimately empty victories such as the one at the weekend. While there may be fewer flashes of sublime skill this season, his role in eradicating self-doubt at the start of Schmidt’s tenure is essential. Last week, plenty of punters sniggered at O’Driscoll’s assertion that Ireland could beat the All Blacks. I bet they feel pretty silly now.